When James Franco throws a party, he really throws a party. Unfortunately, in a major scheduling oversight, his party is on the same night as the apocalypse, in this Evan Goldberg and Seth Rogen directed comedy. In This Is The End, the actors all play caricatured versions of themselves; self-interested, shallow Hollywood types who have developed something of a clique in the hills of LA. Except Jay Baruchel, who doesn’t like the whole “LA thing”. He’s just visiting Seth Rogen for a relaxing weekend of man-bonding, involving a lot of weed. But Seth has a different plan. James Franco is hosting a huge party in his new mansion and all the cool kids are going to be there – Emma Watson, a very camp Jonah Hill, and a hilariously out of control Michael Cera. The cast all make fun of themselves, although it doesn’t go deep enough to be described as a cutting social commentary on the Hollywood lifestyle. But This Is The End is all the better for that, as it allows the laughs to be delivered at a constant and relentless pace. One of the film’s many highlights comes when, while very high, they decide to make a homemade sequel to Pineapple Express, on the camera that James Franco still has from 127 Hours Later. Although set, for the most part, in James Franco’s ultra-modern self-designed Hollywood mansion – Rogen and co are deeply impressed when his television rises out of the floor – when special effects are called for, they more than deliver. As does the soundtrack, ideally suited to the last party ever. 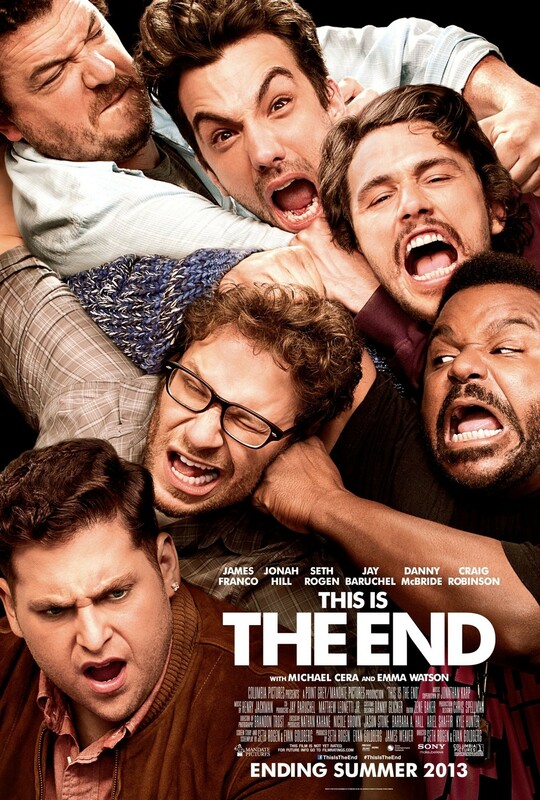 It could be viewed as the closest thing to a Pineapple Express sequel that fans are going to get, but This Is The End stands on its own as as pure comedy that delivers constant laughs.